As you can see above, I used several different dies to enhance my digital image. I started by using the Pinpoint Scalloped Circles from Memory Box and made two mats in different sizes - one for the digi image and the other for the greeting. 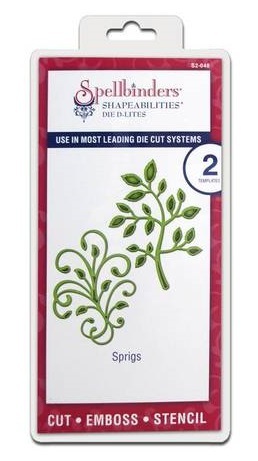 Then I cut out one of the sprigs from the Spellbinder's Sprigs die set, to create a green leafy base for my flowers. Next, I cut and used two of the branches from the Flourishes and Branches die set by Elizabeth Crafts. I added tiny gems to these two little branches to add a little more interest and a bit of sparkle. And there you have it ~ just by using a few dies here and there, you can create your own embellishments and mats to make your images stand out and bring colour into your design. Here is a quick look at the dies I used and where you can find them on the Dies R Us store. I hope my post has inspired you to use your dies to add embellishments to your cards. Now it's your turn to come play along at the Dies R Us Challenge Blog for your chance to win a gift voucher to the Dies R Us Store. A new challenge begins on the first and fifteenth of every month. Be sure to Follow Us on Facebook too. Awe ... what a precious creation! 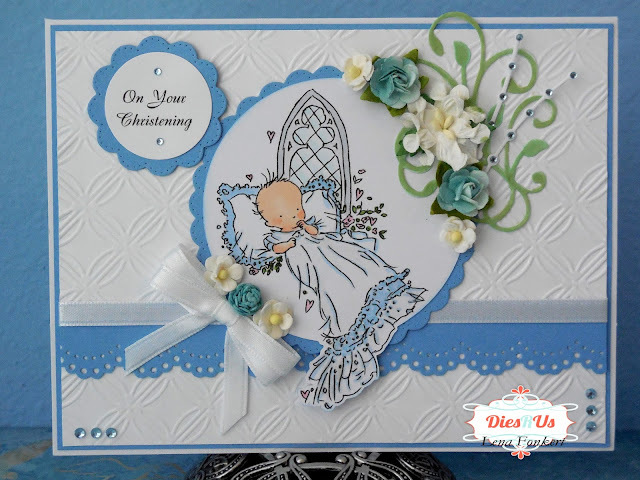 Thanks for wonderful inspiration using these dies and congrats again on your new grandson! What a happy time, and your card will celebrate the new grandson in every happy way.